This web site was conceived and is published by me, Larry Gavrich, a former corporate communications executive who founded HomeOnTheCourse, LLC, in 2005. Our firm advises baby boomers and others seeking a lifestyle in which golf is a major component. My wife Connie and I own a home in Connecticut (not on a golf course) and a condo at Pawleys Plantation in Pawleys Island, SC, on a Jack Nicklaus layout. We began our search for our home on the course more than 15 years ago, and the challenges of the search inspired me to research golf communities and write objective articles about them. In the course of the last eight years, I have visited more than 150 golf course communities and private golf clubs, and spoken with developers, real estate agents, golf professionals and local residents. I have been fortunate to visit and play rounds in a wide range of golf communities in which fine single-family homes begin in the low $200s and no initiation fee is charged for their semi-private golf clubs, to communities in which homes in the millions are not uncommon. Here at GolfCommunityReviews, you will find reviews of communities I have visited, plus my observations and advice for those seeking a retirement home, a second home or an investment in property adjacent to a golf course. I get my biggest charge from helping people find a golf home, and at any one time, I work with a couple of dozen customers in various stages of their searches. That search typically begins by filling out my online Golf Home Questionnaire; after I review my customer's requirements, I shedule a one-hour phone conversation to discuss which golf communities best match those requirements. To conduct further research, line up local real estate professionals and help arrange for visits, I charge a 100% refundable fee that is returned to the customer right after closing on a property. (I am paid a referral fee by real estate agents who also do not charge my customers a fee.) I am a licensed real estate agent in the state of Connecticut working with the brokerage firm Vision Real Estate in the town of Unionville. I look forward to your participation here at Golf Community Reviews. I learn something every time I have a conversation about a golf course and golf community, and I enjoy sharing what I have learned. 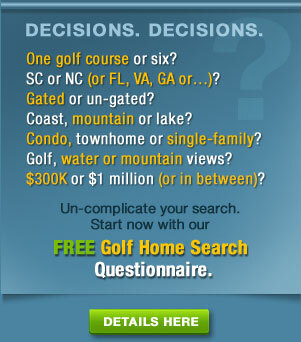 I encourage you to contact me if you have a question or a comment or need advice about searching for a golf course home. 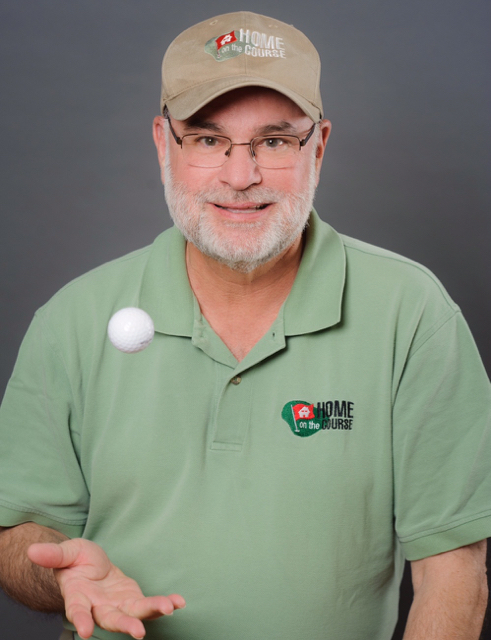 My email address is editor@HomeOnTheCourse.com. If you would prefer a phone discussion, just send me your number and a convenient time to reach you. Thank you for your interest in Golf Community Reviews.